Although installing a garage door opener may appear easy, always remember that incorrect installation can be dangerous.Start off by installing a reinforcement bracket in the top part of the door as this helps in preventing damage to the door. Check if the door is balanced properly or needs adjustment and the garage's sensitivity adjustment should be set correctly. Safety reversing features like photoelectric eyes should also be installed the right way. A garage door remote offers a lot of convenience as you d o not have to get out of the car to open or close the door.The team at Garage Door Repair Azusa recommends buying the remote and opener from the same manufacturer. Look for the learn button after removing the light cover in the opener, then hold the button till indicator lights start to blink on the opener, and then press the remote. Now check to see if the door moves. 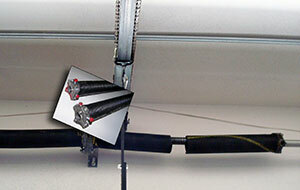 This is a simple yet effective check that is recommended by any garage door repair company in Azusa. Look at the wheel and mounting to ensure that the spinning is not impeded in any way. The metal shaft should ordinarily be able to move freely within the hinges. Remove any dust and rust. 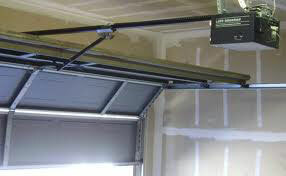 Once installed, aluminum garage doors are incredibly easy to maintain. However, the garage door experts over at Azusa suggest that you watch out for the weather seal of an aluminum frame garage door. Unlike the rest of the garage door, the seal is far more vulnerable to damage. If the garage door is not functioning check the power supply first because it may be due to faulty wiring. Also take a look at the tracks and make sure there are no obstructions like pebbles or dirt. Look for dents, warps, or other malformation. Check the motor and ensure that it is not overheated and examine the transmitter and the drive belt. Check the header and bracket because they could be misaligned. There are many factors that could affect the functionality of your garage door. One of them is the amount of dirt and disturbance in your garage floor. Our experts in garage door Azusa advice that to prevent such a hazard, make it a habit to hose down the floor regularly, as often as you do your carwash.